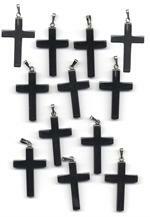 Item #SC-PTBO-0410-X1: Rhodium-plated Sterling Silver cross pendant with black onyx. Item #QG-QC3277: Sterling Silver antiqued Celtic cross pendant. 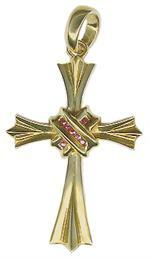 Item #ELY-CRSP-40: Sterling Silver cross pendant of 19.11 grams. 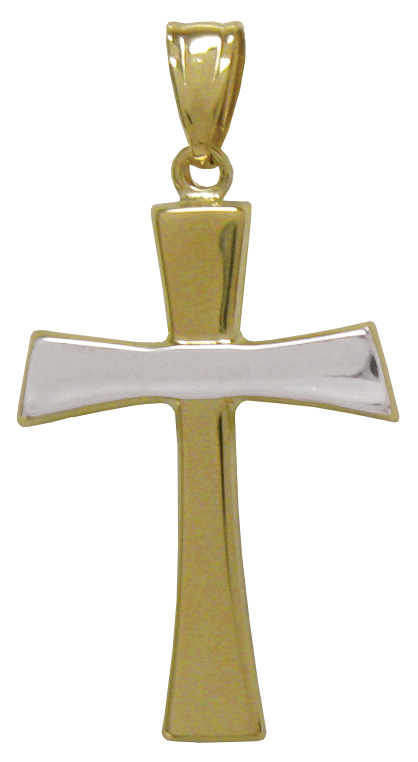 Item #ELY-73117: Sterling Silver large knot cross pendant. 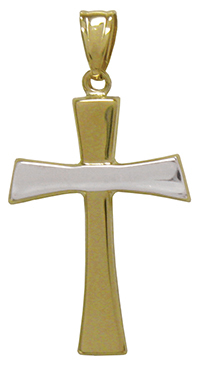 Item #ELY-73110: Sterling Silver small knot cross pendant. 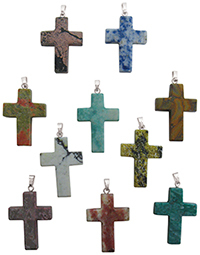 Item #ELY-73120: Sterling Silver wrapped cross pendant. Item #SBC-57688P-SLBT: Samuel B. 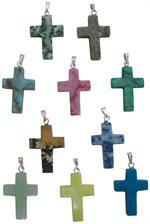 Collection Sterling Silver double sided cross pendant with 6mm round Swiss Blue Topaz.